Celeb mags must stop belittling women! 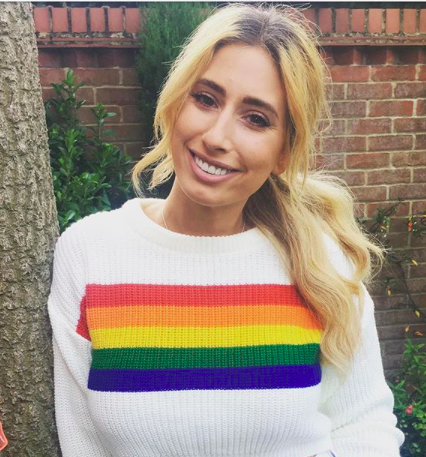 In the wake of the Stacey Solomon vs Now furore, former celebrity magazine editor Christian Guiltenane slams the current crop of weeklies for belittling women and pleads with them to turn over a new leaf. 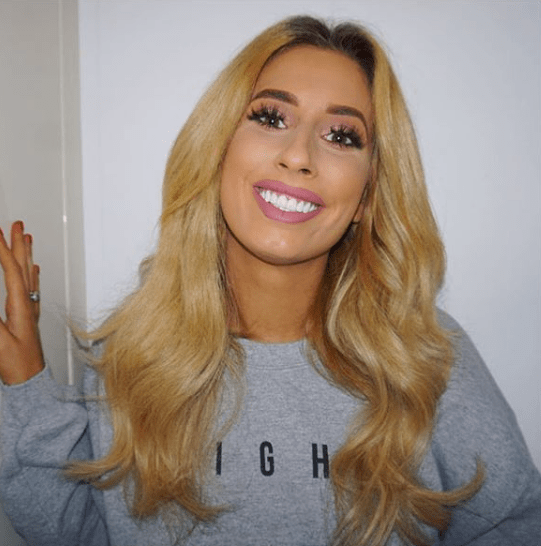 Furious celebs have launched an attack on trashy celeb weekly Now after running a cover slating Stacey Solomon. Releasing a statement about the cover, Solomon said: “The saddest part of this publication is that inside of this magazine it goes from telling girls to get a revenge body (because it’s must be their body that caused any upset in their lives and changing that is the only way to fix it) to Stacey’s celebrating her natural body and we are bored of it. Many celeb weeklies are selling an all time low number of issues. Once upon a time a title like Now was pushing around 700, 000 a week, now it can barely shift 50k. That height came at a time when celeb culture was at its peak and Hello! and OK! 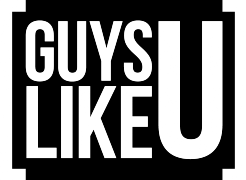 masterfully ruled over the sector by being the nice guys and forging strong bonds with the stars. To compete, the tacky low rent mags were forced to flog copies in any way they saw fit, regardless of how much they hurt people. One day some cleverdick at Now decided to nick an idea from an American title and ran a cover of celebs without make up, that teased a mean-spirited piece inside about how dreadful the stars look without all the slap. It wasn’t long before the mag’s rivals jumped on the bandwagon and started to pick at everything celebs did, under the guise of proving to disgruntled readers that celebs’ lives were just like theirs. However, after while, the climate changed and we all became a lot more supportive of each other and less critical. Except noone seemed to tell the mag editors, who continued to rip away at women, slamming them for their curves, or scalding them for not eating enough. 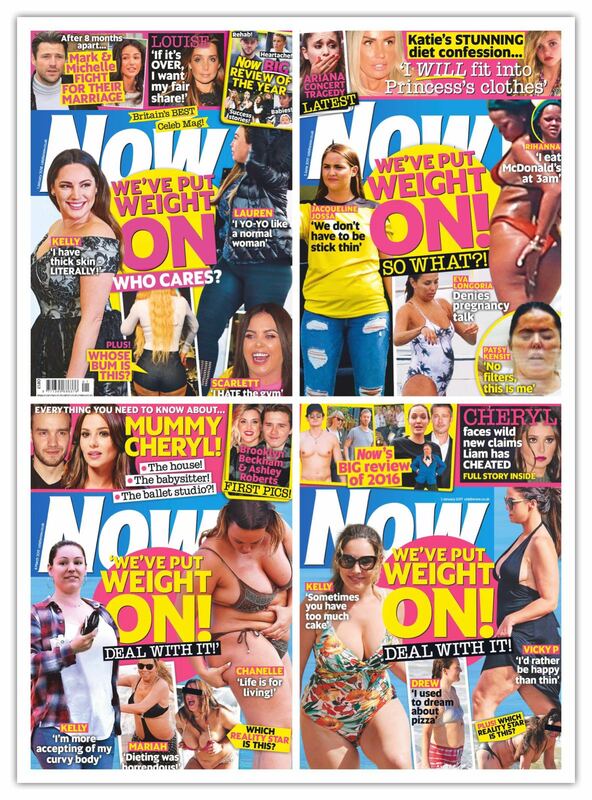 Even when the headlines seemed supportive like Now’s constant ‘WE’VE PUT WEIGHT ON – SO WHAT?” cover lines, it was just a feeble excuse to slap a bunch of unflattering pictures of celebrities on the cover for readers to gawp and laugh at. Disgusting, eh? The problem with many – not all – of the celeb weeklies now is that those in charge have lost their way and don’t get that women just don’t want to read negative things about other women. They don’t want to read about body shaming their peers. The proof is in the pudding – sales have gone through the floor. Of course, some mag editors will blame dwindling sales on that new fangled villain ‘the internet’. And in some ways they are right. When magazines – which come out once a week – constantly fill their thinning pages with shamelessly ripped off stories from the internet and run the same pap shots that readers saw a WHOLE WEEK before for FREE, readers – surprise surprise – tend NOT TO BUY them! After all – why would any sane person fork out £1.50 when they can read the same content on the internet for FREE a whole SEVEN DAYS BEFORE? It’s common sense, right? The problem, it has been argued, is that much of the magazine world is populated with inexperienced journalists and editors who have never actually interacted with celebrities. They have only managed to look on from afar, like uninvited guests at a party and become cynical and snipey and obsessed with belittling anyone who is successful. Why else would they do it? To attack and belittle women the way they continue to do so is shameless, especially as many of those responsible for these risible articles are women. I was deputy and later editor of OK! magazine and as a rule we never ran stories that bullied women into thinking they were not physically or emotionally adequate. In fact, we forged wonderfully tight relationships with the celebrities, some of whom still keep in touch and trust me. 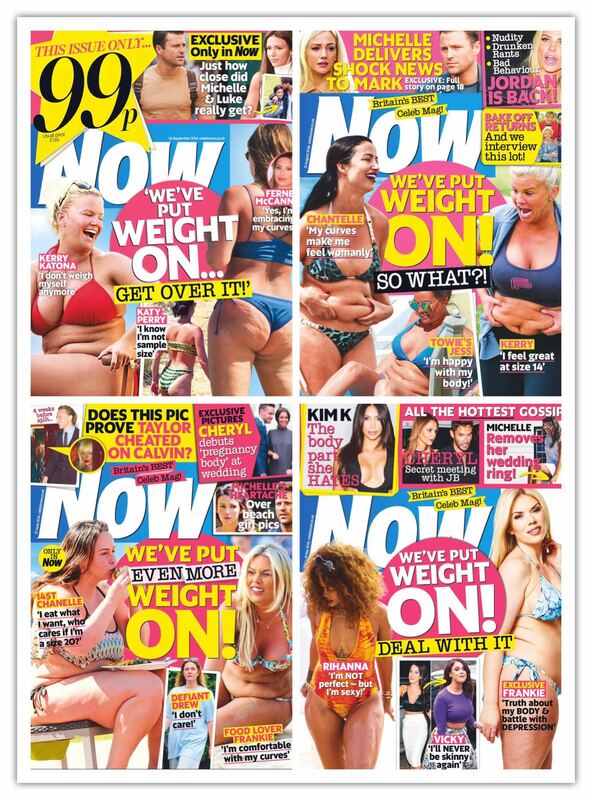 I later spent a short time at Now magazine too (hey, I needed to work) but never really felt comfortable with the body-shaming content so left after a short time. I have always been a staunch believer in celebrating women and not patronising them by thinking all they care about is babies, diets and getting married (yes, in the past I have had to bite my lip when those from above have decreed certain decisions). As far as I have seen women are brilliant and have amazing minds. These days they rule the world, run big businesses and dream up amazing inventions. However, flick through some celeb rags and you’d think all women could do was fill their lips with collagen, get pregnant, date a crim or lose weight. What kind of role models are these dreadful people? The way admirable women like Stacey, Scarlett Moffatt and other strong women are written about by these magazines is almost as damaging as the odious behaviour that inspired the #MeToo movement. I remember once when I was editor of OK!, the weekly magazines took great pleasure in poking fan at Kelly Brook and her ‘break up’ weight gain. They gleefully ran a picture of the bikini clad beauty on a sun lounger reading a book. As she was leaning over her stomach was squeezed into rolls. The headlines that accompanied the picture guffawed about how she had piled on the pounds and was overweight. I was horrified. 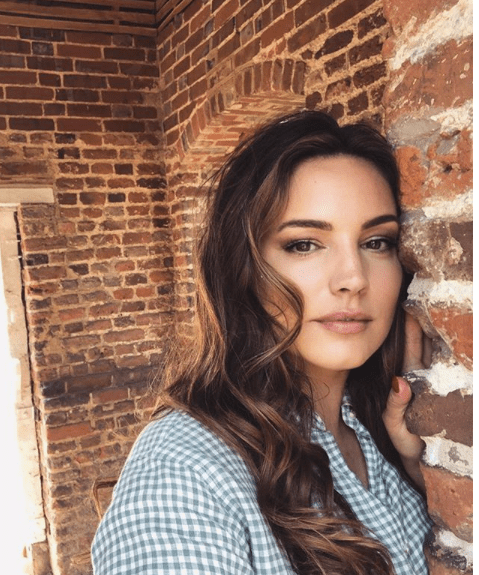 Not only because some of the magazines were having a gay ole time poking fun at a heartbroken woman as she tended to her broken heart, but also because they had the audacity to say that healthy size 14 actress and model was some how seen as FAT! I was disgusted. The following week I arranged for Kelly to talk to the magazine and in the editor’s letter I pointed out that in the other snaps from the selection of pictures, Kelly could be seen walking about looking her normal self. Yes, the editors had craftily selected a picture where Kelly looked her worst and tried to convince the public that she was piling on the pounds. It’s 2018, this kind of vile bullying has to stop. So too does this embarrassing practise of making up features based on the mean tweets of a bunch of spotty nobodies sat behind their computer in their mum’s basement. That isn’t journalism folks, it’s a joke. In fact, by sharing these nasty comments, mags are no different to the trolls they slam! Yeah, we journos have all had to do it in our time to make a crust, but it’s now time to nip it the bud. Don’t get me wrong. There are some great mags out there and there are some amazing talents who are working on them who I call friends. But I think some have lost their way and they need a nudge back on to the straight and narrow. It’s not too late to change. It’s easy! So come on folks, let’s go back to the days when mags were aspirational, funny and intelligent. It doesn’t cost a penny to be creative – let’s try to #MakeMagsGreatAgain. Well done Stacey for calling out the magazine that hurt you. Hopefully the public outcry will make magazine editors rethink their vile content. Next ArticleLGBTQ CINEMA: "Skin sells but there are plenty who want to just see a love story"
Are you offended by Olly Murs admitting to being 20% gay? Is there really a serial killer hunting gay men in Manchester? Sam Smith dedicates Oscar to LGBT community but pisses off Tom Daley’s fiance! Why Manchester’s new gay Lord Mayor will change ALL of our lives!